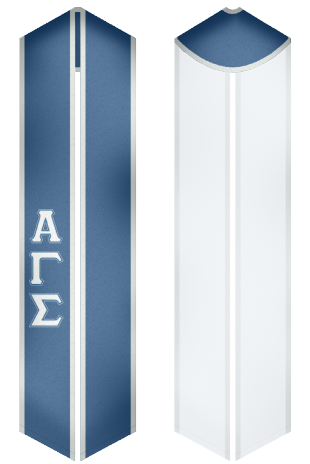 Custom Sash Amazing stoles and sashes for Alpha Gamma Sigma. Alpha Gamma Sigma is a famous social fraternity founded in 1923 at the University of Missouri. The fraternity has many reputable alumni and has played its part in promoting goodwill and harmony among its members. Being a part of this fraternity is a an honor none the less. Make your graduation ever so memorable with our custom stole or sash. Stand out during your graduation ceremony and be sure to shine during your moment of glory.